Welcome to Dynamic Import Service, Longmont’s BMW and Volvo Specialists! 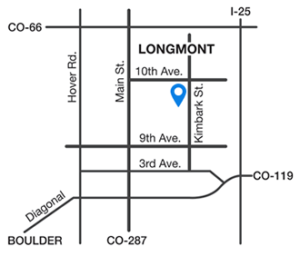 After 20 years in the European auto repair industry, owners Brett Borders and Ty Martin have decided to try something new – a highly specialized, customer-centric BMW and Volvo shop in downtown Longmont. There have always been a few shops in Longmont who are willing to work on BMWs and Volvos, but at Dynamic we only work on BMWs and Volvos. Really, that’s it. What does that mean for you? It means that we know your car as well or better than the best technicians at the multi-million dealerships in Denver, Fort Collins, Loveland and Boulder. It also means that we’ve invested in BMW and Volvo specific diagnostic tools and repair equipment, so we can truly take care of anything your car needs. Lastly, it means that we care enough about these cars, and the people who drive them, to devote our careers to making your service experience what you’ve always wanted it to be. Whether you’re an enthusiast who wants to know every detail about the diagnostic procedure, or a busy professional who just wants to know that things are done right, we want to get to know you and your car so we can exceed your expectations. Thank you for checking out our shop, we look forward to working with you! I have found my shop! Dynamic Import Service is the place to take my older BMW for all service needs. Ty (and Brett) are great. Very reasonable pricing and fantastic service. Very conveniently located in Longmont. I would, and have, recommended them to all my BMW friends.